Alberta Education is currently developing an online learning toolkit that will provide guidance and direction for families, teachers and school/system leaders. The Ministry also tracks specific distance and online learning programs/schools through the Provincial Education Directory (see https://education.alberta.ca/online-learning/online-learning-directory/ ). Enrolment in these programs are tracked through the use of specific codes in the Provincial Approach to Student Information systems. At present, there are currently three specific coding mechanisms for tracking online enrolments. Schools may indicate on their annual operating plans that they offer an online program. Courses may be identified as virtual and distance learning in provincial student information systems. Students who are completing the majority of their courses online can be identified as such using the online learning student enrolment code. However, Alberta Education is aware that some schools and school authorities may not use the appropriate coding for distance and online courses and is working with school authorities to increase awareness and improve accuracy in the assignment of student and program codes for online and distance learning programs. Distance and online learning are also funded differently than brick-and-mortar education. The Funding Manual for School Authorities prescribes funding mechanisms that are that are not available when a student is enrolled as an online learning student (e.g., Plant, Operations and Maintenance; Infrastructure Maintenance and Renewal; etc.). Further, a school authority must be able to demonstrate how 950 hours of distance/online ‘access’ for elementary and junior high students and 1000 hours of distance/online ‘access’ for senior high students is being met in order to ensure requirements are met to be eligible for funding. At present, Alberta Education is aware of 32 different distance and/or online learning programs. While most of these are focused at the school division level, there are two programs that are provincial in scope (the Alberta Distance Learning Centre and the Centre francophone d’éducation à distance). Based on the information in the provincial tracking system, during the 2017-18 school year there were 372 schools that indicated on their operational forms that they had students enrolled in an online program. Additionally, 55 schools used the virtual course enrolment code, 13 schools used the print-based distance education course enrolment code, and 69 schools used the online learning student enrolment code. Overall, there were a total of 11,897 students coded as online learning, as well as 8,634 print-based distance education course enrolments and 71,725 virtual course enrolments for the 2017-18 school year. A blended program in Alberta has historically been defined as a student’s education program that consists of two parts: where the school-authority is responsible for the student’s education program, and where the parent is responsible for their child’s education program. In 2017-18, Alberta Education will be transitioning this terminology to “shared responsibility” in order to identify programs where the school authority and parent share responsibility for the child’s program. This change will allow Alberta to become more aligned with the current e-learning vernacular. Alberta Education does not collect enrolment data for blended learning, and there was only one program that completed the annual Individual Program Survey who provided blended learning data. The Alberta blendED Symposium, a conference focused on fostering the growth of quality blended learning opportunities for student in Alberta, has been organized annually since 2015. In 1923, the Deputy Minister of Education insisted that the Supervisor of Schools in Alberta, try an“education by mail” pilot project. The pilot was designed to serve 10 students who did not have a school to attend, but within the first year it was serving the needs of 100 students (Smith & Crichton, 2003). By 1926 there were over 900 students enrolled with the majority being Grade 1 students. By 1927 an additional 255 students joined, and for the first time the annual report made mention of a Correspondence Branch within the department of education. From 1923 – 1932 the Alberta Correspondence Branch was administered by a single staff member, while by 1932 there were two full-time administrators and four full-time teachers responsible for 2500 students from grades 1-8. When the Public School Act changed in 1939 to include grades 1 -12, the Alberta Correspondence Branch increased its scope . By 1940, the branch added radio content to its print materials. The move from radio supplemented lessons to second generation technology options continued with advancements in communication tools such as reliable and less expensive telephone coverage and audio and video cassettes (i.e., multimedia courses in a box) delivered by the mail (see Distance Education in Alberta Has Come A Long Way for a different telling of this story). Innovations in third and fourth generation distance education were evidenced in the use of video conferencing for professional development and the sharing of teacher specialization expertise among schools (Andrews, 2005). By the 1990s, there were also several school district consortia that offered K-12 online learning programs in the province (Haughey & Fenwich, 1996), and from 1995 to 1999 there were 23 district-based online learning programs in operation (Muirhead, 1999). In fact, the first references to K-12 online learning in the academic literature were based on these district initiatives in Alberta. Over the next decade Alberta would continue to develop public and private district and multi-district programs, and by 2002-03 it was reported that Alberta continued to have the most students engaged in online learning (O’Haire, Froese-Germain, & Lane- De Baie, 2003). In more recent years, there have been several consultation initiatives with respect to distance learning in the province. The first consultative process began in 2007 when the Ministry of Education reviewed K–12 distance education with the goal of developing a Distributed Learning Strategy. While there was a broad consultation process (including 1774 responses to an online survey, 60 interviews, 28 focus groups, and 21 site visits), that initiative appeared to be subsumed into a subsequent larger initiative. The Inspiring Action on Education initiative began in June 2010, with the release outlining the policy directions within the broader context of provincial government strategies and initiatives aimed at building a stronger future for Alberta. Public feedback occurred from June to October, followed by a series of Ministry-generated reports in December summarizing the responses. However, when the Government introduced a new Education Act in 2012, there was no reference to distributed, online or blended learning from these earlier consultations. The most recent consultations was an external initiative. 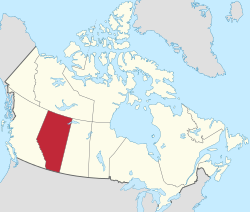 In April 2012, Alberta Education contracted Schmidt and Carbol Consulting Group to conduct a province-wide review of distance education programs and services. The review, which concluded in early 2014, was not released to the public. O’Haire, N., Froese-Germain, B., & Lane-De Baie, S. (2003). Virtual education, real educators: Issues in online learning. Ottawa, On: The Canadian Teachers’ Federation. Smith, R. D., & Crichton, S. (2003). Online learning in Alberta: Sustainability factors. Edmonton, AB: Alberta Online Consortium. If a student takes a course from another province, territory, or country the student will receive a report card from the school authority providing the course. If the student wishes to receive credit for the course the process for applying to receive transfer credit is described in the “Awarding Course Credits” section of the Guide to Education: ECS to Grade 12 and an equivalency to an Alberta course is provided. It is the expectation of the Ministry of Education that school authorities will focus on providing programming to Alberta students and out-of-province students who physically come to Alberta to learn. Alberta Education does not provide funding for out-of-province students unless they are residents of Alberta and maintain a home in Alberta with the intention of returning to the province. It is the practice of the Ministry to not provide services to students in other countries without a Memorandum of Understanding (MOU) between the two governing authorities. Alberta has established a number of MOUs, enabling the establishment of accredited out-of-province schools that use Alberta’s programs of study and employ Alberta certificated teachers. In examining the list of international schools currently approved none appear to provide distance education service.